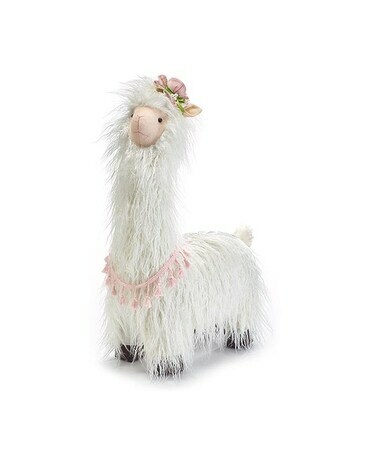 Standing Llama decor wearing a hat with long hair and peach color rope of tassels around the neck. No assembly required. 22 1/2" H x 7" W x 15" D.